HOME >> COMMUNITY >> TALK STORY >> GREATEST TOYS/GAMES YOU EVER BOUGHT! Greatest toys/games you ever bought! It's the most amazing game, 2 years & he still uses it most every day!!! As you can see, these items were better purchased closer to their incept dates for a decent price tag, heh heh. I had a lost in space robot as a kid and several of the original gi joes with a space pod and a fort and other cool stuff. I had GI Joe with the kung-fu grip. & every Planet of the Apes toy ever made. Guess I'm not much about the toys. For games, Boggle and Terrace. Also 221 Baker St continues to be fun when the friends are over. Used to have a Games Night for a group of us. It's an online recreation of my favourite electronic board game from the eighties. It's painstaking in its detail! And it's still fun to play. Not so much for board games (they meant time with family I'd rather have avoided), but anything that transforms into a robot gets at least two looks. And yes, I still have a whole "fan-universe" ( http://tfwiki.net/wiki/Personal_canon) in my head (26 years of individualized backstory and counting). The "real" Transformers continuity ( http://tfwiki.net/wiki/Continuity) is too much of a mess to be bothered with. Put it in a blender is right. I'm almost literally jumping out of my chair and screaming "YES!!!!" I was just about to mention this game and lament how I let it fall into disrepair and then lose it for good. Finding it for a decent price on e-bay is a bear, I tell ya. But THIS! O my goodness! It certainly makes my day extra SHINEY! As for other toys . . . I thought the toys based on M.A.S.K. were great. Granted I was in high school when I was buying those suckers. But THIS! O my goodness! It certainly makes my day extra SHINEY! I see you loved it as much as I did. A group of us bought it & played it, then stupidly let one of the group take across state lines to a friends house, where he lost it!!! We were VERY displeased, but by then the game was no longer available!!!! When I accidentally found this a few months ago I was like "NO WAY!!!!" Ah Darktower, I remember it fondly...except for those damn brigands, and the thief, and the plague. A couple other favorites for me were Stratego and Mastermind. I didn't technically buy these so much as recieved them for Christmas, but, I have all six of the original Power Rangers flip-heads. In the Seventies we had a "smash up Derby". It came with cars that had pieces on them that would fall off when they smashed into each other. we had the version that came with a ramp and a loop....hours of fun I managed to find a set in an op shop for the afterschool care I ran 5 years ago...the kids loved it, but it got trashed fast due to how many of them played with it. I wish toy manufacturers would make versions of toys designed to be played with by big groups of kids.I also still have love and use my Knit Magic. I used to have some Star Wars action figures and a c3po mask I loved but they mysteriously disappeared when we moved house...my mum later admitted she threw them away as she wanted me to be more like other girls...ironic considering she bought me my first Ghost Rider Comic. Because you mention Clue, I wonder if you have tried 221 Baker St yet? It is the advanced version of Clue. Most Clue fans love it. I've played 221 Baker Street (isn't there a "B" in there somewhere? ), without realizing it was considered an advanced version of Clue. I prefer the original; it's still one of my favourite game-night games. A long time ago, my two brothers and I played marathon games of Risk or Monopoly every night for months. And an even longer time ago, my favorite toy was Mr. Machine-- this wind up mechanical man you could take apart and put back together. Bunches of internal gears and linkages that had to go together exactly right or he wouldn't work. By some chance of luck we got 3 of 'em at once, all mixed together in a big box with no instructions. 'Bout a week of trial and error, but boy was it fun. OMG! I had that too!!! I played with it during Batman!! I totally forgot about that one! I've often wondered why you and I seem to be almost always in agreement in the threads we reply to. 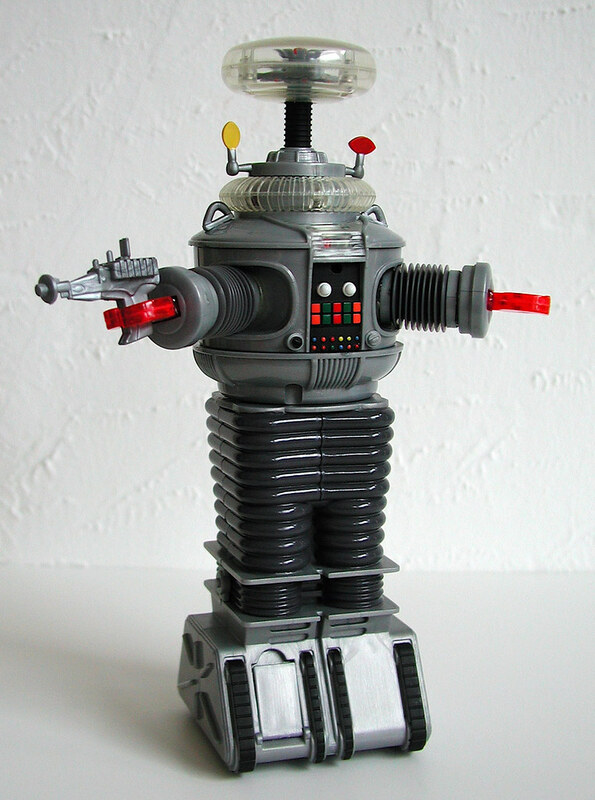 Maybe we've found the causative link- the early childhood influence of Mr Machine. Now we gotta ask some of the folks who usually agree with us, ( Signy and Rue come to mind . ) and folks who usually disagree ( Rap and Kwicko, off the top of my head) if they had MM. Now we gotta ask some of the folks who usually agree with us, ( Signy and Rue come to mind . ) and folks who usually disagree ( Rap and Kwicko, off the top of my head) if they had MM. Not sure any of them are old enough, heh heh. I think we mostly got a boatload of children. I never actually owned it but I used to enjoy going to a friend's house and play a game of Titan.